Ultrasonic Flaw Detector ITI-1700 is mainly used to test, diagnose, and evaluate a different kind of flaws like inclusion, cracks, unmelted weld joints etc. This product is widely used in industrial sectors. One of the main features of this instrument is to detect all those flaws, which is impossible to see by human eyes. 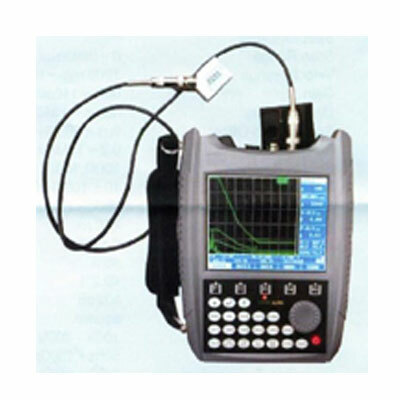 India Tools & Instruments Co. is the leading Ultrasonic Flaw Detector ITI-1700 Manufacturers, we have served many industries by our worth full product range. This product is very easy to use and comes with the quick installation process. It provides accurate results. We use good quality raw components tested by our experts. We make sure to deliver the best quality at affordable price. Being the best Ultrasonic Flaw Detector ITI-1700 Manufacturers, Suppliers, and Exporters, we are here to fulfill your industrial needs; you can mail your inquiry for more information, hurry up, and get your product now.